October ending means another step closer to Christmas but I am still firmly in Autumn mode. 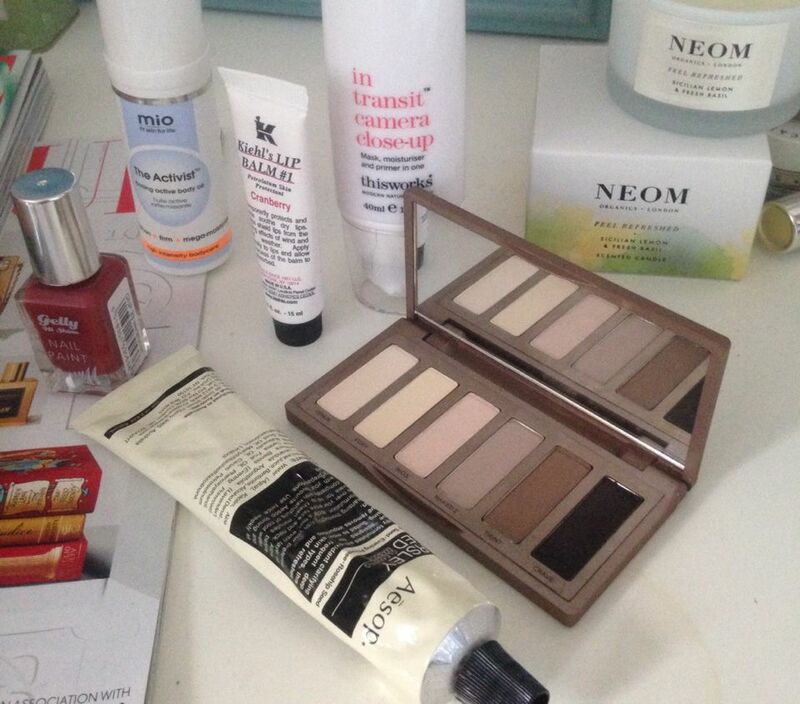 Here are a few of the skincare and make-up favourites that are taking me through the season. Just before writing this, I sat on my bed slathering my face in this stuff. I bought it a few weeks ago when I was feeling frivolous, tempted by the posts and pictures I'd seen raving about it. I have wanted a new mask product for a while to replace the Lush Mask of Magnaminty I had been using all year. As it is quite expensive, I preserve it by only using it in problem areas or places I want to target, rather than covering every inch of my face. It sets in to a light, clay-like layer and feels so smooth when it is dry. It makes my skin feel so much fresher after I've washed it off and the drying effect of the clay really drys out any blemishes. I'm addicted to this mask and use it two to three times a week. Aesop is definitely a high-end brand that I don't use a lot, but I don't mind investing in a product like this as much as it is so nice to use and makes a real difference to my skin. I got this for my birthday this year and after lusting over the Naked Palettes ever since they became the 'it' thing in make-up it was a very welcome gift. I have never been one of those people that wears a lot of eye-shadow, particularly during the day as I felt it was too overpowering and didn't really suit me, but finally this has made it work. The shades are so subtle and blend so well together. The justification of buying yet another moisturizer was a result of how much I have been enjoying using the In Transit No Traces pads to cleanse and brighten my face after removing my make-up. I am slightly addicted to the thisworks range at the moment, especially after becoming surgically-attached to the pillow spray - I am never disappointed with the results and I love the packaging. 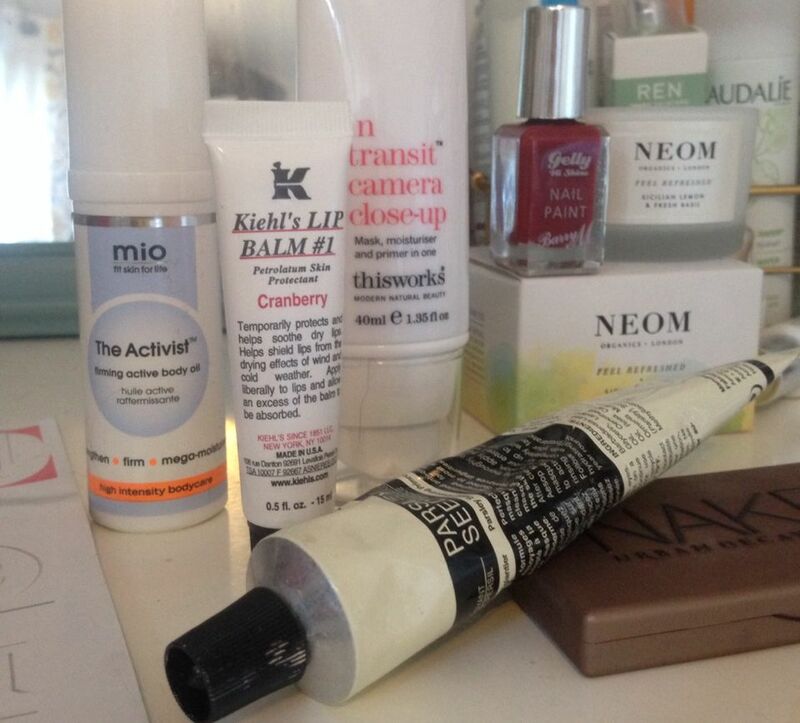 The Camera Close-Up works as a moisturiser, primer and mask depending on what you're wanting to get out if it. I mostly use it overnight as it hydrates my skin until the morning, but I also think it is a really effective base product pre-make up that plumps and evens out skin tone. I saw the MIO Strong is the New Skinny kit in the Urban Outfitters sale recently - I couldn't resist trying it out after seeing the MIO products floating around recently. This is my favourite one of the trio, a body oil that you apply when your skin is still damp from the shower. The formula aims to soften and nourish dry skin as well as reduce the appearance of uneven skin tone or stretch marks. It absorbs very quickly into your skin and leaves it feeling silky and hydrated. I am no way saying that buying any lip balm for just shy of a tenner is good value for money, as frankly you can't go wrong with a small tin of vaseline and there are many other things that your hard-earned money could go towards. However, I bought this in Liberty's the other week using a birthday voucher as I was stuck on what to buy and my lips were especially dry that day due to the drop in temperature recently - I couldn't not include this in my October round-up since it's been a firm fixture of my handbag. It has the liquidy consistency of vaseline that I prefer over balm sticks, but it is slightly less greasy and lasts for a long time. They do a range of flavours - I chose the Cranberry but I was also tempted by the Mango. I couldn't resist this colour - a browny-tinged red which is deep enough for autumn but is still bright and interesting. I have always been a fan of the Barry M polishes and I love that they're is such a range of colours nowadays, from matte to all kinds of sparkly. They're really good value at under a fiver (which is hard to find of a nail polish) and the gel look that this range offers makes it look a lot more expensive than it is. The Aesop mask sounds lovely, it's one I've heard about for years and still haven't bought! I love the Naked Basics palette too, I wear it or Naked Basics 2 daily!